With three decades of experience in the culinary arts – and 25 years specialized in healthcare – Mark Dyball brings unparalleled experience to revolutionizing the culinary experience of modern hospital patients. 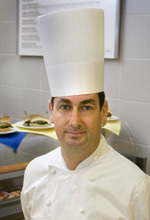 His passion for quality healthcare launched as a sous chef for patients in the multiple sclerosis wing at Colman Hospital in his native Norwich, in the United Kingdom, Mark went on to serve as Executive Chef of UCLA Medical Center for 11 years, transforming a loss-making retail unit into a highly profitable and service oriented organization. As a consultant for Room Service Technologies, Mark has implemented over 28 hospital room service programs. Frequently sourced by culinary publications, Mark speaks frequently at national conferences on innovations in food service management. In 2013, Mark established Healthcare Culinary Solutions™ to better service his vision of high quality culinary experiences for all hospital patients. Joy Petterson MS, RD, LD received her B.A. in sociology from University of Kansas in 2001. Her love of food and health led her out west where she continued her education with an M.S.N in nutrition from Bastyr University in 2004. After graduating from Oregon Health & Science University’s dietetic internship with the Outstanding Student Award and the Award of Achievement, she went straight into management with OHSU’s Food and Nutrition Department. In the first 2 years of her 5 ½ year tenure, she transformed her patient services operation from a traditional trayline to a customer service focused room service operation. By driving patient satisfaction scores up and food costs and waste down, her team is a leader in the industry. 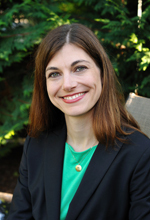 Additionally she is a program instructor for the management course within OHSU’s Dietetic Internship. As a 2013 Emerging Leader for the Association for Healthcare Foodservice, Joy continues to instill a passion for good food and customer service to her team members and students. Jennifer Hancox is a foodservice specialist with 20+ years of experience contributing to operational and business performance. She is a uniquely skilled manager with proficiency in revitalizing low performing business units and delivering the highest standards of professional excellence in service, sales, and revenues. She has a record of excellence in launching foodservice training courses, establishing strategies to propel growth, and forecasting future profits and risks. She has proven her ability to hear prospective client needs and establish solutions within allocated budgets. Jennifer has lived and worked around the country in New York City, San Francisco, Washington DC, Atlanta and Boston, and Portland Oregon. 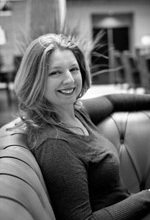 She has worked in both independent restaurants (two- and three-stars) as well as larger, corporate foodservice operations. Her experience in restaurants starts out as a prep cook and runs through all aspects including sous chef, banquet manager, service manager and general manager. Corporate experience starts at the GM level and continues with Director of Training for existing and opening units – executive dining, corporate cafes, coffee bars and fine dining restaurants in museums and cultural centers. 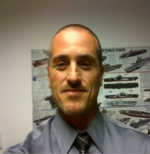 Born in Portland, Oregon, Jesse has been in the hospitality industry since 1996. His first introduction to the healthcare food industry was at Oregon Health Sciences University. Serving as the Patient Services Sous Chef, Jesse played a key role in transforming OHSU’s patient food service into a Room Service program, using fresh, local ingredients to significantly improve the quality of food. Jesse has been working with Mark Dyball since 2010, modernizing retail hospitality programs to increase profits and customer satisfaction. 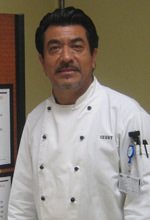 Chef Gerry initiated his career at The Beverly Hills Hotel in 1982 as Chef du Parte. In 1983 and 1984 he participated in the Le Escouffier International French Food Festival as well as cooking for the Polo Lounge Saloon and catering for Presidential Campaigns. His passion for cooking launched him to the United Airlines Friendly Skies culinary company in1988 focusing on the first class meal service for both domestic and international flights. Gerry has taken these fining dining skills into the healthcare field when he joined UCLA Medical Center in 1994 as a Sous Chef focusing on the catering and retail programs. 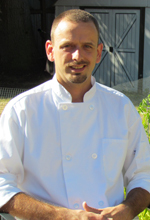 In 2009, Gerry began his work with Chef Mark Dyball, consulting on numerous healthcare retail programs as an Executive Sous Chef. Guy holds a Masters in Business Administration and has 20 years of experience in financial management in the healthcare industry. Currently employed as Financial Director for Support Services at UCLA Healthcare, he manages $60 million dollars annually. With expertise in identifying and reporting key controls over finance, Guy helped lower costs at UCLA, reducing the annual expenditures in foodservice, while increasing revenue. Today, UCLA’s food and supply cost per meal is one of the best demonstrated practices among similar sized facilities. He serves in leadership roles for several healthcare committees at UCLA, Group Purchasing Organizations and for the last 3 years has served as Treasurer for the Association for Healthcare Foodservice, Southern California Chapter.